Each customer has a personal gate access code. Access to parking is from 6:00 am to 11:00 pm seven days a week. 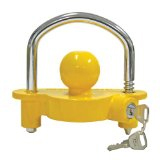 Trailers must have a trailer hitch lock that cannot be easily cut with a bolt cutter. Bring your own or buy one in our office. We will need to see the vehicle title or registration.